Photo Caption: Day 40: Today’s piece is another piece by Ellis Ceramics out of Melbourne. 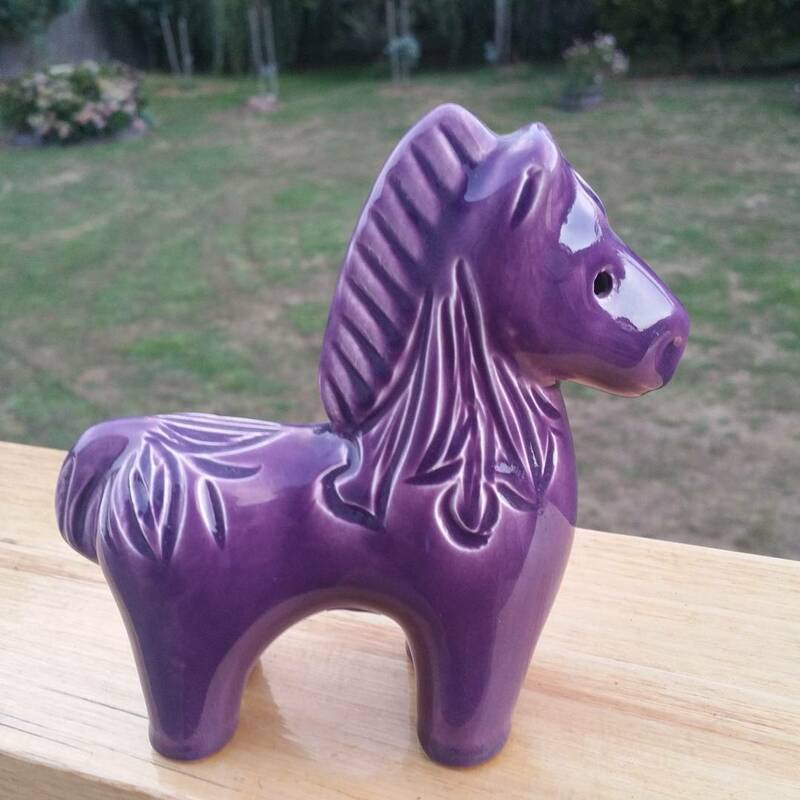 Ellis must have made quite a few of these little horses but I’m not sure I have seen two the same. They were obviously cast from the same mould but the decoration and glaze combination seems to have been up to the individual artist. This is the only one I have but I imagine you could build a pretty special collection just concentrating on this one Ellis shape. Photo Caption: Day 39: Today’s piece is the rather large milk jug to go with my mystery teapot from yesterday. Maybe we will call it a water jug? It’s way lighter than you’d expect but definitely old. Any ideas people? Photo Caption: Day 36: Today’s piece is by Queensland potter Harry Memmott. 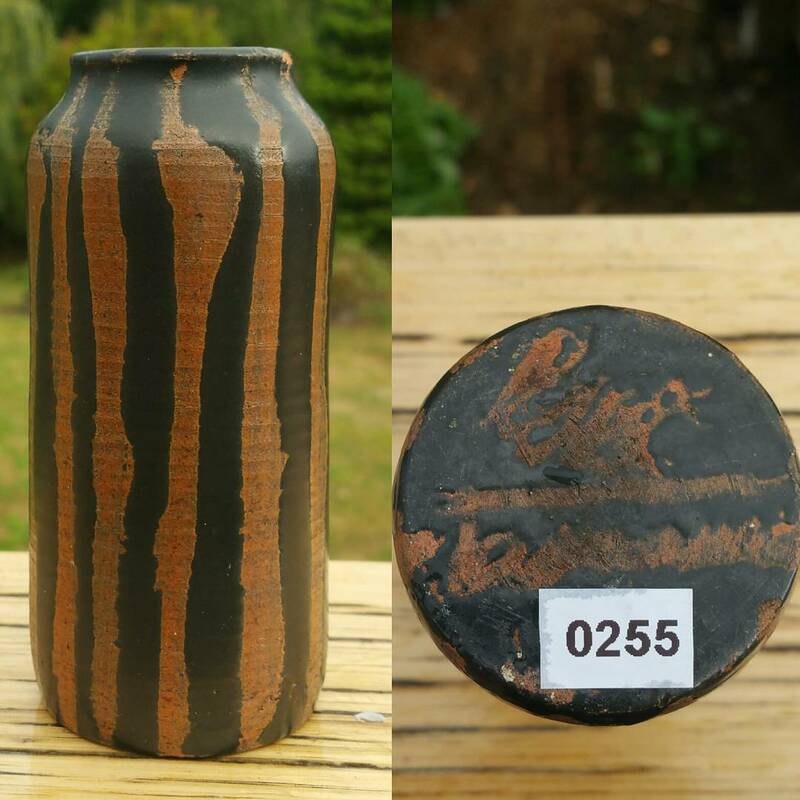 Known by most collectors for his souvenir wares this piece is quite different to say the least. 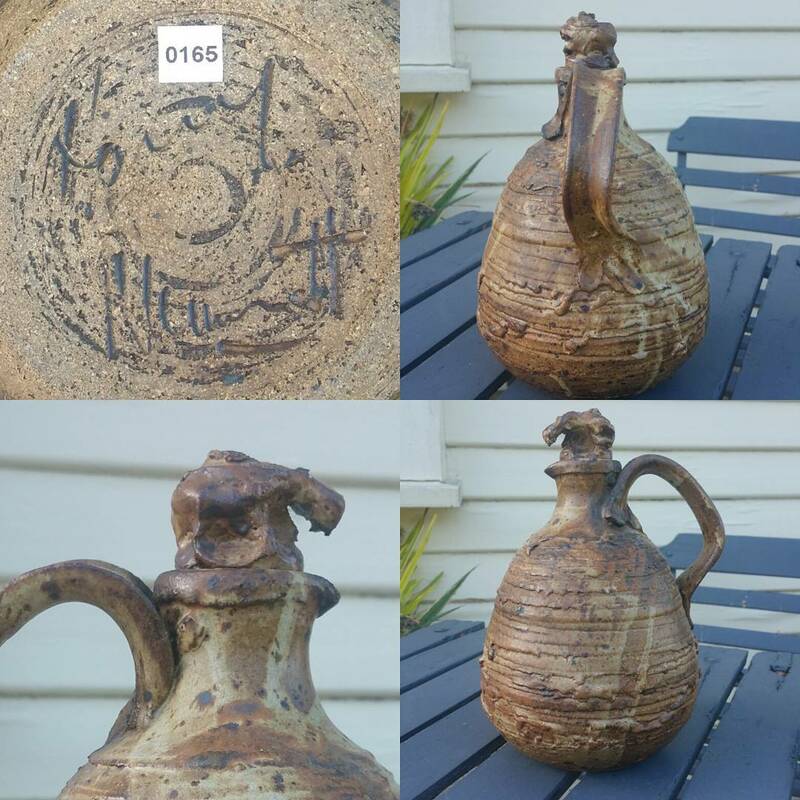 With it’s large strap handle and scrunched up stopper this jug is one helluva brute and I love it! Photo Caption: Day 35: Today’s piece is a bit of a mystery. 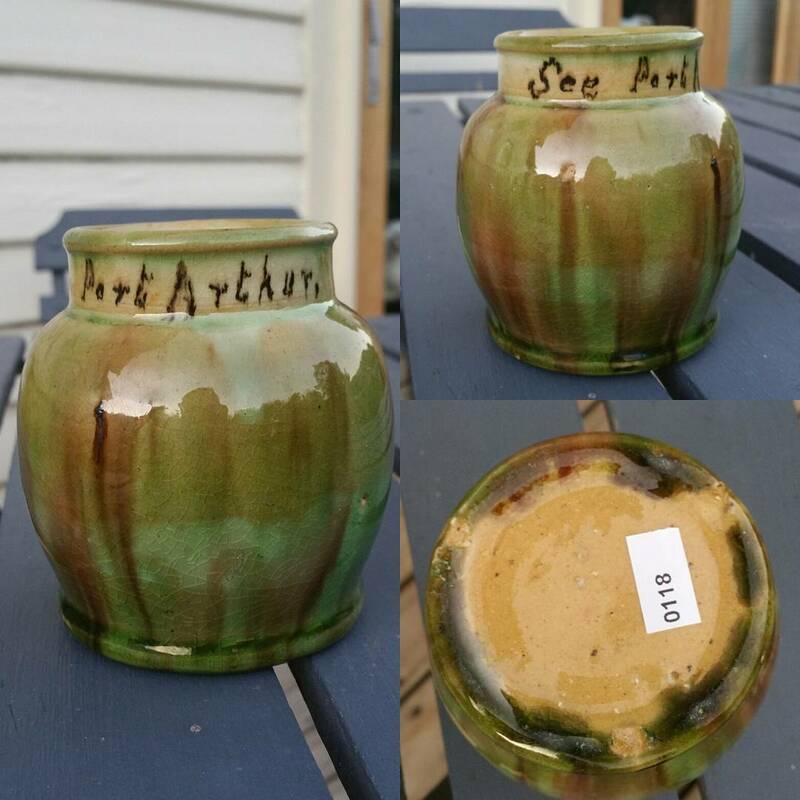 Inscribed “See Port Arthur” around the neck this vase is unmarked but undoubtedly Tasmanian in origin. 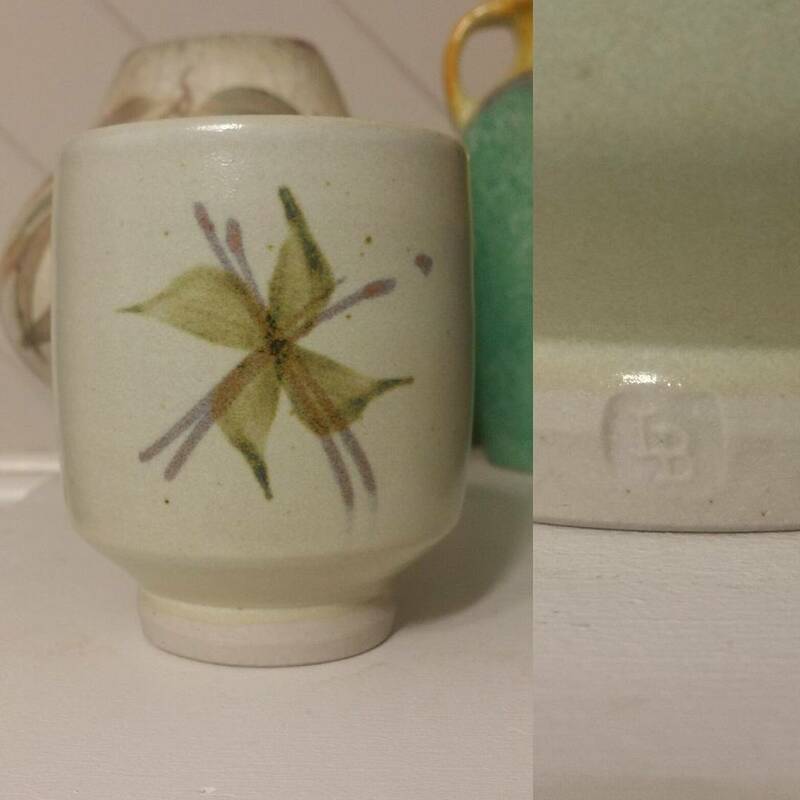 The shape is not one I have seen before and the glaze is odd too. Part John Campbell part McHugh and by the looks of it too early to be Van Diemen. Circa 1930s. 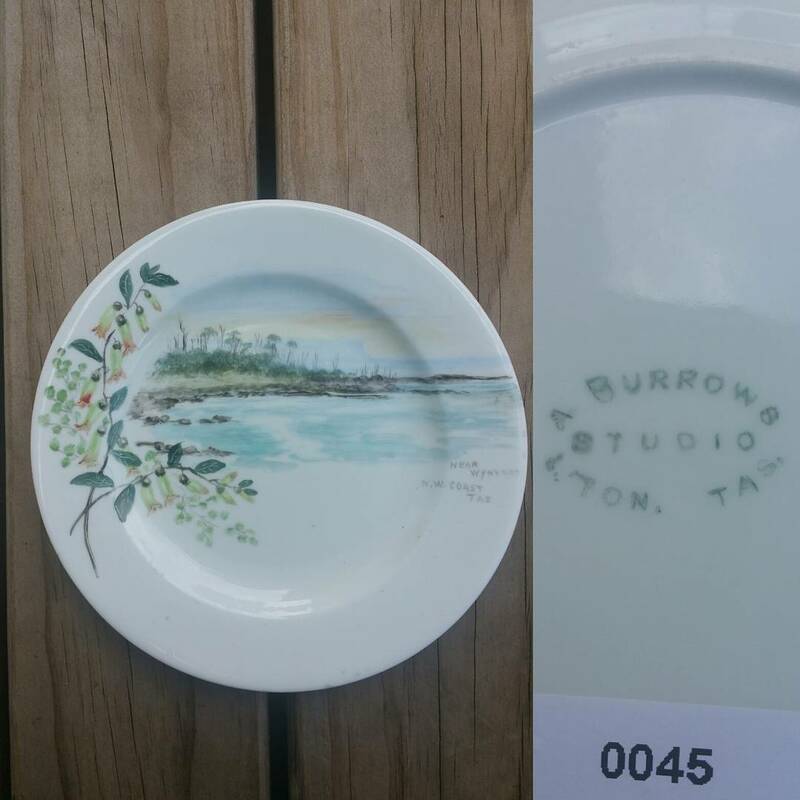 Photo Caption: Day 34: Today’s piece is another early hand painted china piece by Launceston based artist Amelia Burrows circa 1900. I thought i would post another Burrows Studio piece after seeing @robbieburrowsart fantastic photo of her Great Grandmother Amelia hard at work in her studio. Thanks also to @oxalis_curator for the heads up. Photo Caption: Day 32: Today’s piece is by Bakewell Bros from their Newtone Art Ware line. I think I might own more pottery shoes than I do real ones (i don’t own many of either if I’m honest). 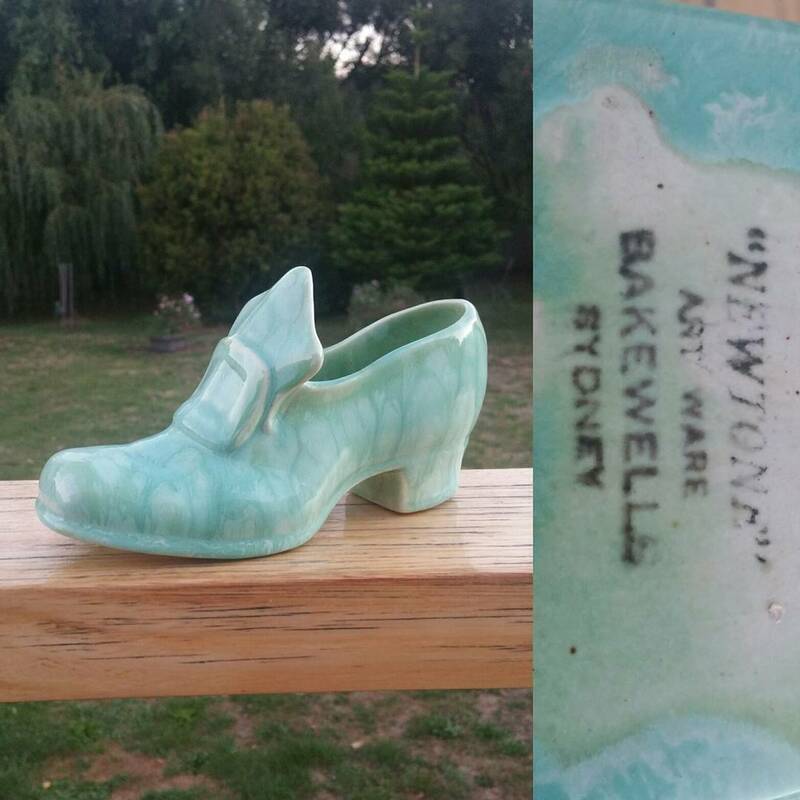 I’m not sure why they were so popular but alot of pre war Australian potters made shoes to be used as small posy vases. Photo Caption: Day 31: Today’s piece is another by Hobart icon Eileen Brooker. The photo makes it look much bigger than it is. It’s only about 12cm high and 5cm in diameter hence the difficulty getting a nice clear signature on the base. This piece has a nice wax resist decoration. I’m guessing it is circa 1970s. 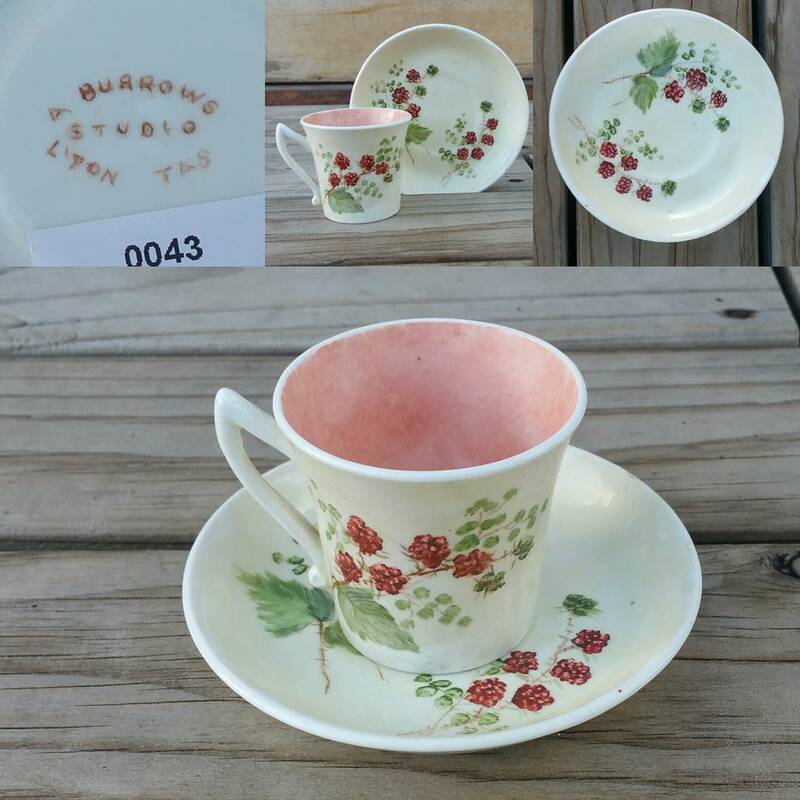 Photo Caption: Day 29: Today’s piece is by Ellis Ceramics out of Melbourne circa 1960s70s. Who doesn’t love a good piece of Ellis?! Classic mid century design is pretty much timeless and this piece is no exception. 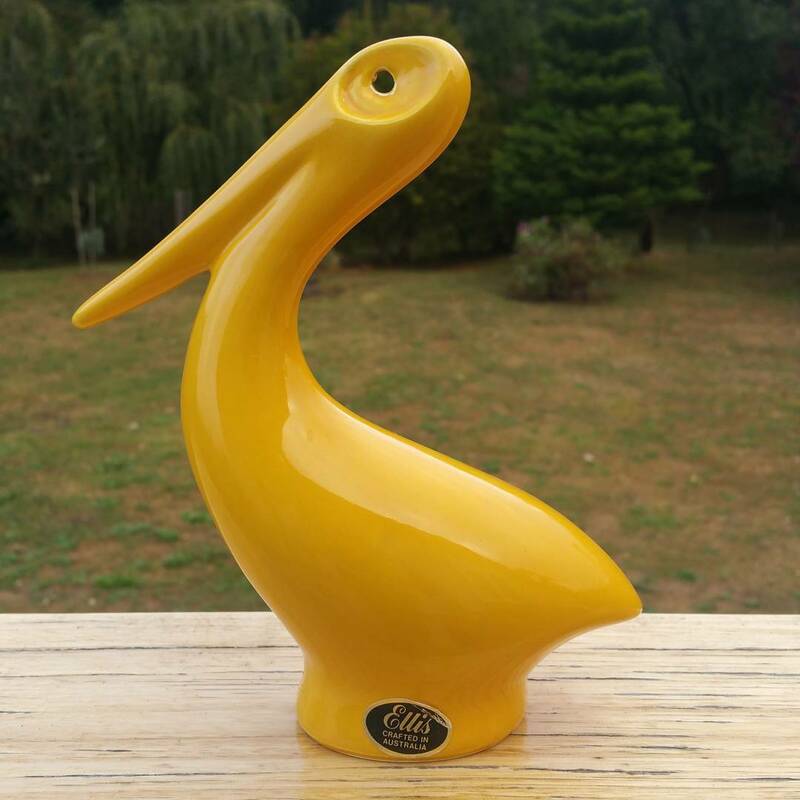 I have seen this Pelican figure as a money box before but this version is just a freestanding figure. Except for the sticker these pieces are always unmarked.